Restylane Lyft Office $650 per 1 cc vial (Best for deep wrinkles and to volumize cheeks and temple. Also good for liquid rhinoplasty). Restylane-L Office $650 per 1 cc vial (Useful moderate sized filler. Great for under eyelid dark circles). *Dr. Graham is an expert injector. He has thorough understanding of anatomy, which means you will get what you need where you need it. This ultimately results in better results, less pain, cost savings, and a higher level of safety. The last pricing tables illustrate Dr. Graham’s surgery cash rates for some procedures typically covered by insurance. 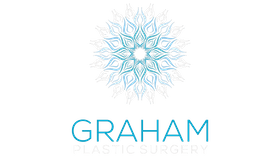 Graham Plastic Surgery feels the bureaucratic US healthcare system is too inefficient and too costly. Therefore, we offer cash rates for procedures to save people money. Such procedures include carpal tunnel release, trigger finger release, and skin cancer excision. Dr. Graham performs these procedures in office, which is actually the standard of care in Canada. For many patients with high deductible plans, HSA’s, or those that are self-pay these procedures are much less expensive than going through traditional insurance. For example, paying $1000 in cash for a carpal tunnel release in office is much less expensive than paying $5000 in deductible for a carpal tunnel release performed in the hospital through insurance. Using a combination of local anesthesia and nitrous oxide sedation, this office process is safe and less painful than a procedure performed in the hospital. FILL OUT THE CONTACT FORM TO SCHEDULE YOUR CONSULTATION!